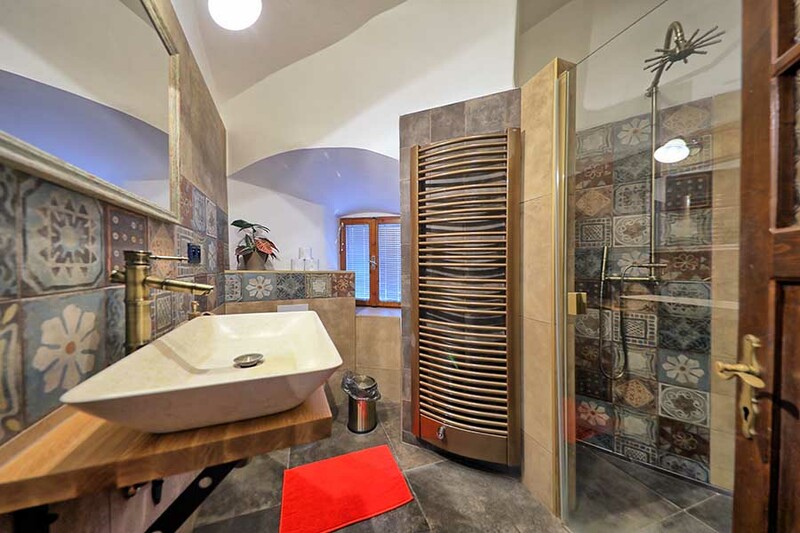 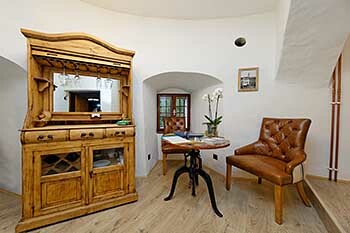 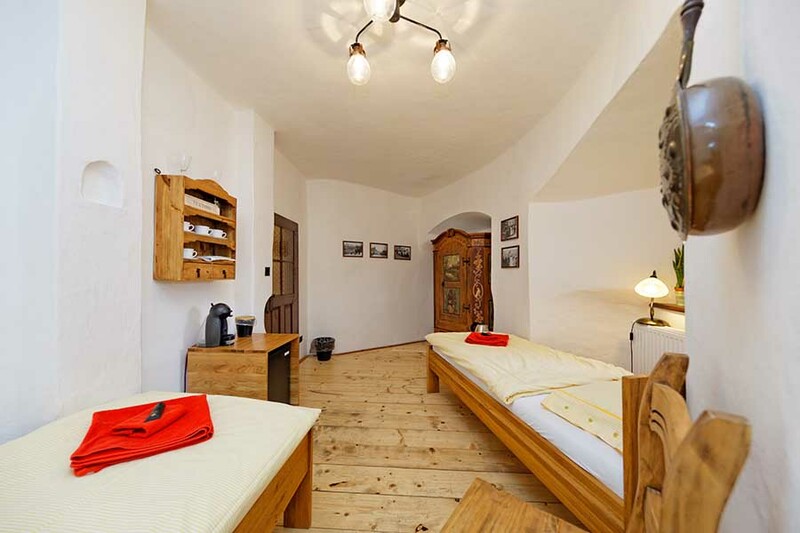 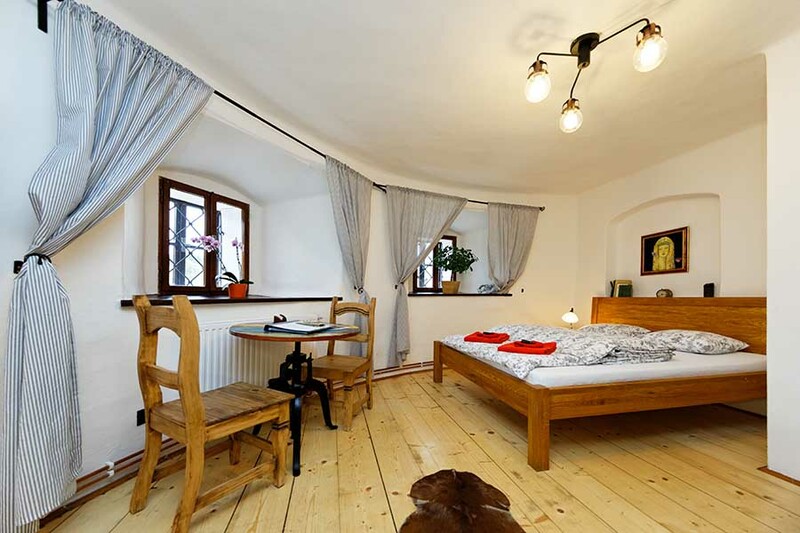 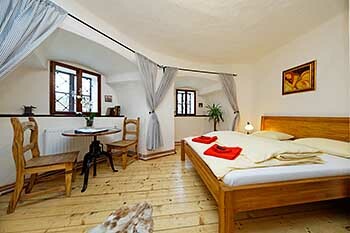 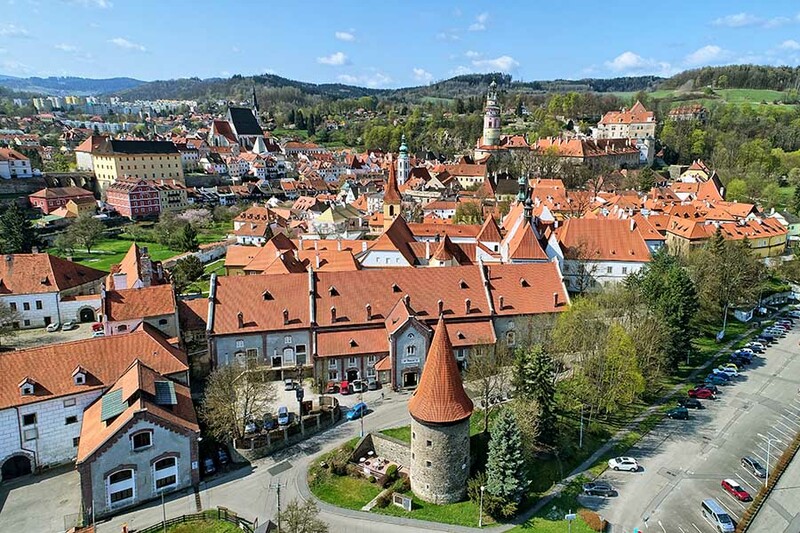 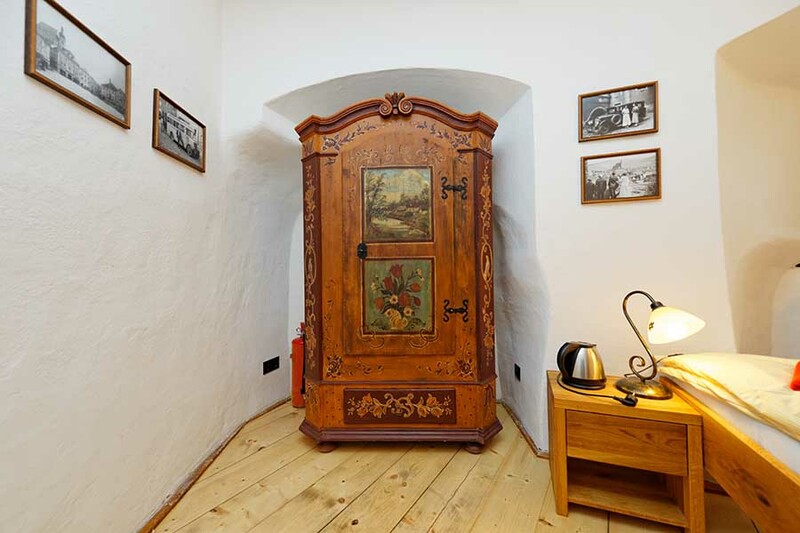 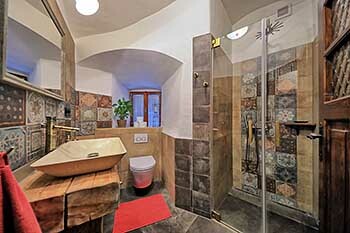 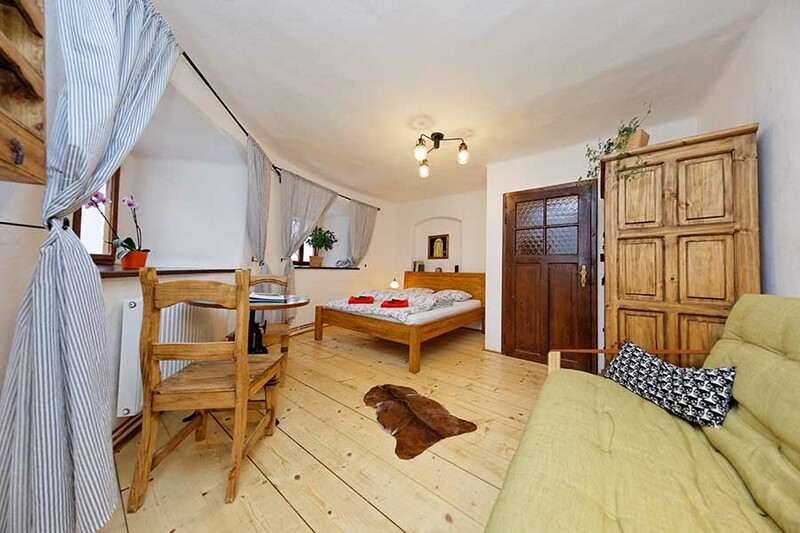 The Pension Krumlov Tower is located in a round bastion of former town fortification of late medieval origin from the beginning of 16th century. 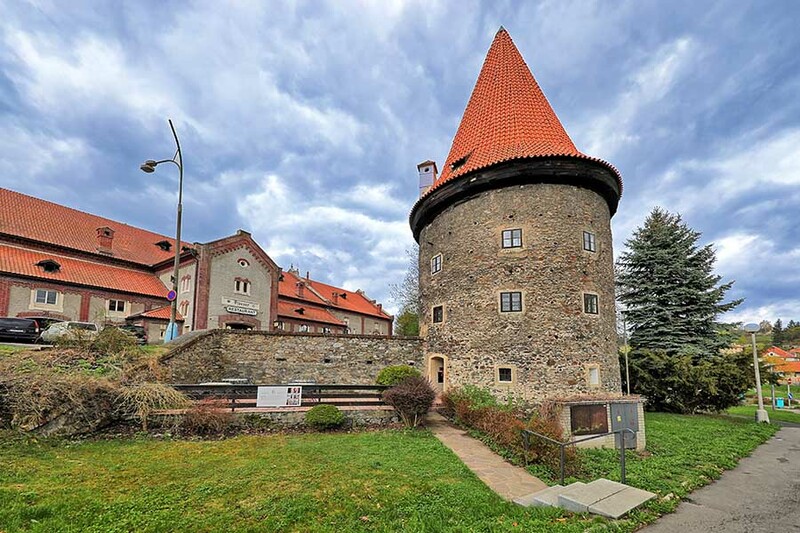 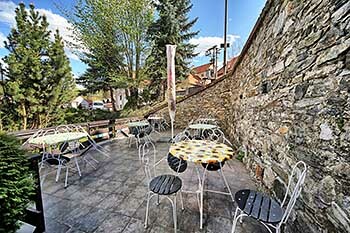 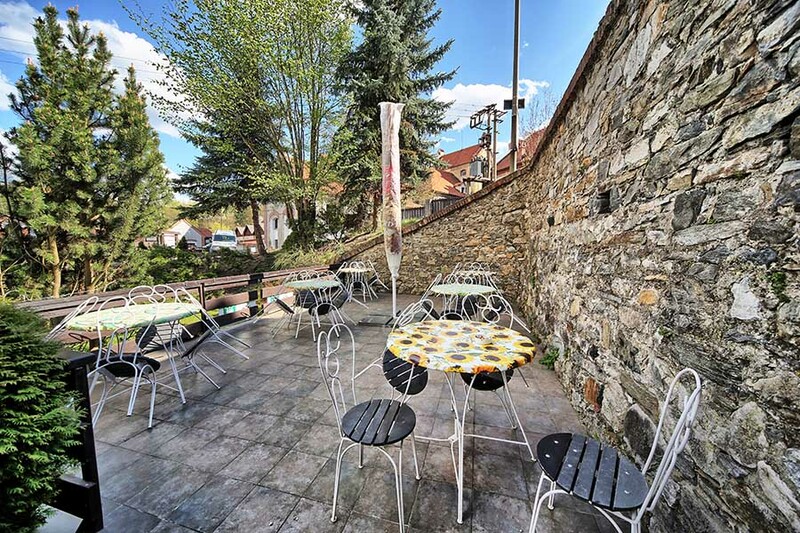 It is situated near Eggenberg brewery five minutes on foot from the Castle. 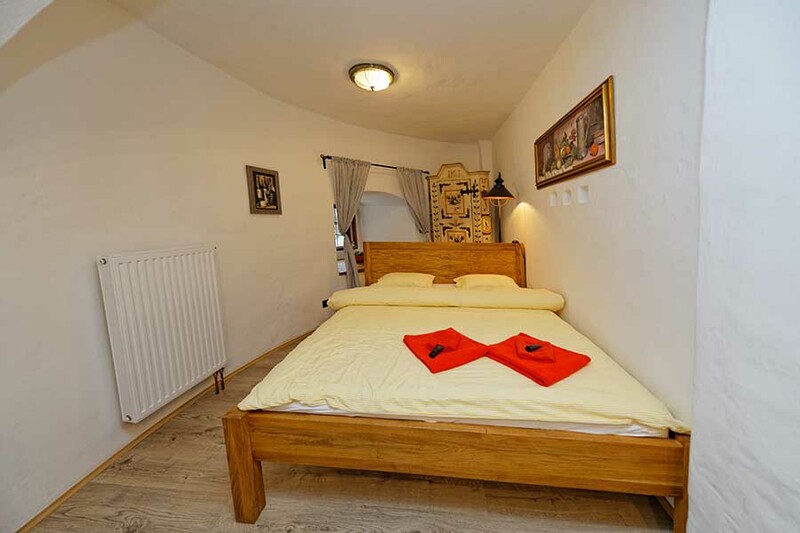 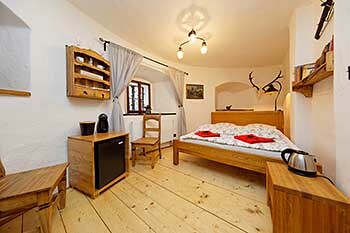 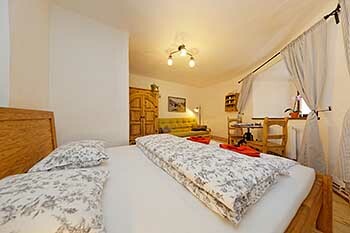 Pension offers accommodation in one double room and two 4-5-beds apartments with 2 bedrooms, one on each floor. Its an unique accommodation facility in a real historical building. 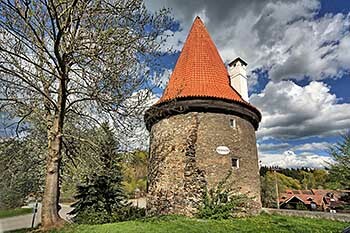 The bastion was build in 1505 and used for original purposes till the end of 18th century. In 1805 prince Josef II. from Schwarzenberg let adapt the bastion to flat of guard who watched nearby prince's timber collector on Vltava river. In the beginning of 19th century a chimney was constructed and the fortification facility was altered for habitational purposes. 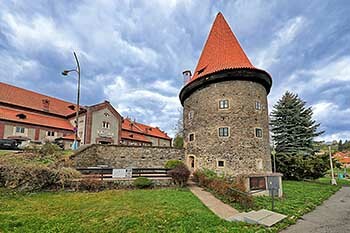 The building has three floors and conical ridge-tiled roof. 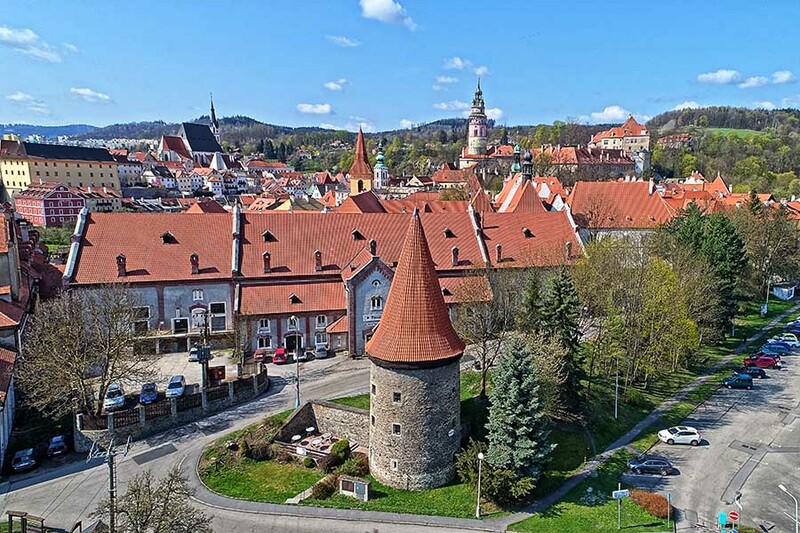 The bastion is exceedingly significant cultural monument, one of few preserved fortificational objects that document historical development of Cesky Krumlov town fortification. 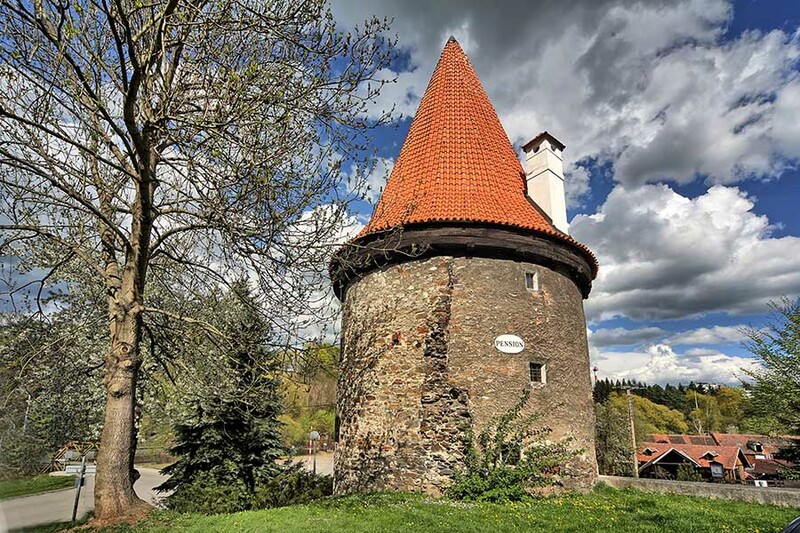 After a year-long reconstruction the tower has been opened in 2016 in its todays appearance in order to offer a unique experience and unforgettable moments in the medieval guard tower. There are only two similar towers in whole of Europe you can spend a night in. Bathroom with shower bath and hairdryer - king size bed and folding sofa bed in one bedroom and two single beds in the second bedroom - Dolce Gusto Krups coffee machine and minibar fridge. 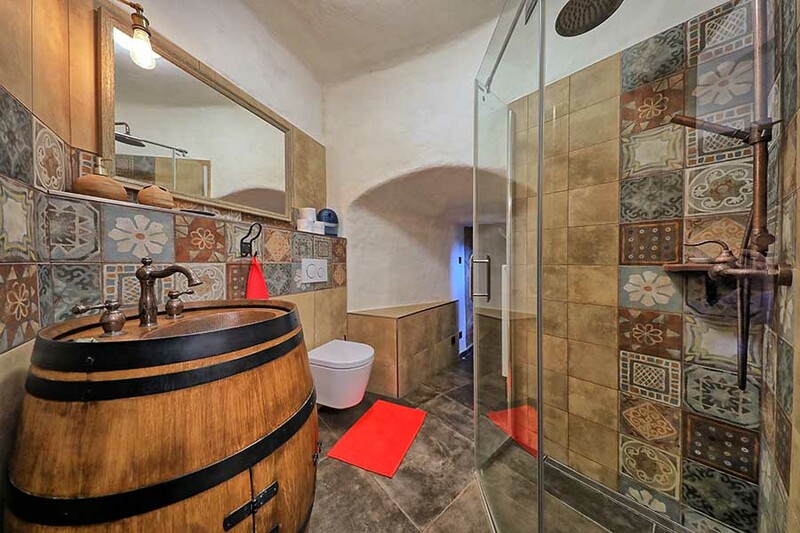 Bathroom with shower bath and hairdryer - king size bed and folding sofa bed in one bedroom and king size bed in the second bedroom - Dolce Gusto Krups coffee machine and minibar fridge. Bathroom with shower bath and hairdryer - room with king size bed - Dolce Gusto Krups coffee machine and minibar fridge. 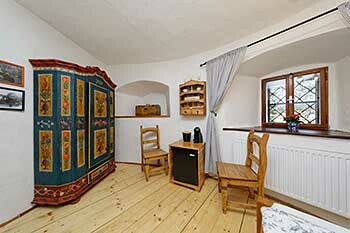 Prices include all taxes, but don't include breakfast.